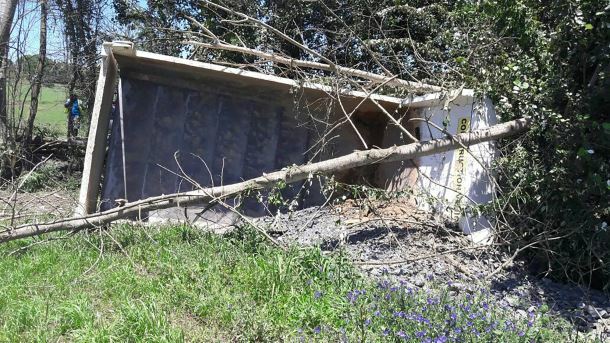 A 49-year-old man sustained serious injuries when he apparently lost control of a truck and veered down an embankment into trees along the Lions River Road in Howick. Shortly after 10am paramedics from ER24 arrived on the scene where they found the truck lying on its side between the trees. One of its occupants, believed to be a passenger, was found outside the vehicle with minor injuries. He indicated that a second occupant was still trapped inside the cabin of the truck. Upon assessment, paramedics found the 49-year-old with severe injuries to his right foot and chest. He was pinned in the cabin and ER24’s Rescuelance crew assisted with the jaws of life to free him from the wreckage. Once freed, he was extricated and stabilised on the scene. He was later transported to Greys Hospital for further care.